modlandUSA: Stealing, Spam, Pinterest, and You. Stealing, Spam, Pinterest, and You. If you've been using it, you already know that Pinterest is a great visual social network. It’s fun, it’s viral, it can be beneficial for businesses. I have nothing but positive things to say about it. This morning I received an email notice regarding a repinning of one of my pins; for now I have those emails turned on. This one happened to be about the board where I pin posts for this blog. I've always taken pride in the original photos and graphics that I use in my blog posts and was inspired to snap a photo of a 1964 / 1965 World’s Fair souvenir fan that I own. 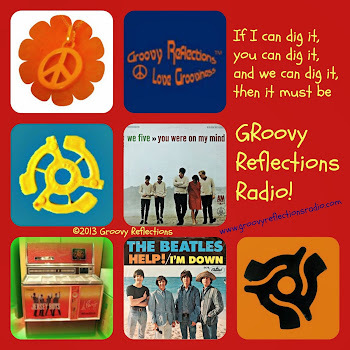 Included a watermark “groovyreflections.com” (one of my websites) on that photo; have been doing so mainly because of all the repinning activity on Pinterest. I don’t mind my pins traveling around the virtual world, but I want to retain acknowledgement for my photography (as good or bad as it is). Suddenly, the link to my blog is gone and there's a "promotion" for increasing your followers with a demeaning statment and a URL (presumably his). Sigh. My guess is that this sort of practice will increase. Will you be able to catch doings like this? Probably not all of it, especially as activity on your account goes up. I will be shutting off the email notifications eventually and it’s likely that I won’t have time to scan all the activity every day. Clicking on all those notifications can be a drag! Commented directly on his repin requesting him to remove the pin, included the URL for my blog and an explanation he had removed credit for where the photo originated from. This way, others will be able to see my comment and his credibility will go down a notch (and hopefully more!). Reported him to Pinterest. It’s easy! Directly on a pin there are several options on the right: Like, Tweet, Embed, Report, and email. Click on report and fill in the simple form. Keep in mind that Pinterest is still a young social network. They’ve already revised their policies and there’s sure to be more changes down the road. Unfortunately, scammers and unscrupulous folks are here to stay. I hope that by bringing this issue to you that you’ll be just a little bit savvier. All social networks have their good and bad points, and we have to go with the flow and continue to educate ourselves. 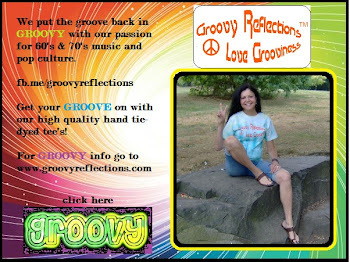 My personal account that includes this blog, my Groovy Reflections account which also has a board with this blog, and my third one which is really my dog's endeavor where he helps other animals find forever homes. You go Gerry! Bummer that it happened, but thanks for the tips on how to handle it. Interesting story... I have yet to sign up for Pinterest, but have noticed a few of my pics being pinned - thankfully they have at least given credit back. Some news: Looks like the posts from Mr. Couch were removed. Don't know if that's due to what I said to him or my complaint to Pinterest. Very interesting, Gerry. I'm active on Pinterest (and am going to follow you, if I'm not already) and set my preferences for a daily email notification of activity. Usually I just quickly scan them, rarely click on them. You're absolutely right - I'm sure we'll be seeing much more of this. Thanks for the heads up. Hoping it's a learning curve for most users... But your experience was over the top. Glad it was resolved. Your photography IS awesome, BTW. I appreciate that you have brought this activity to everyone's attention - that way when we are affected we have the knowledge that you are leading the way with what to do. On another network I found that my logo had been used 25 times. Initially there was only one that I saw. I commented directly to that persons social media site via DM. A few days later there were the others using my logo. So I open messaged every one on the site via an 'open question board' ... must say I have not seen my logo floating around again. My message is complain, question and action openly. Also follow through with the lodging complaints process through official channels - this builds up your ethical stands and the nets moral basis.